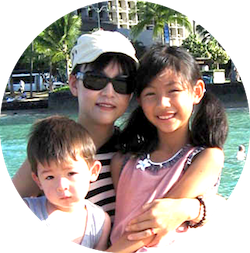 AbiTalk was born in 2011 when Emmy Chen, a software engineer and entrepreneur turned stay-at-home mom, realized that interactive apps could be a powerful tool for teaching her young son reading and phonics. Unlike static workbooks and flashcards, apps give kids instant feedback, keeping them engaged and interested in learning. In addition to reading and phonics apps, AbiTalk offers a range of mobile and online apps designed to assist English and Chinese learners. These apps were inspired by Emmy’s own experience: after coming to the United States from China, she learned English in six months in order to attend graduate school in computer science. To date, Emmy has developed over 90 apps for AbiTalk and will continue to develop more in phonics, reading, arithmetic and languages. More are added every month, so kids can keep building their skills without getting bored. AbiTalk’s apps are truly kid-approved. Emmy’s son and daughter inspire and suggest many of the designs and they test every app. Happy learning, from our family to yours!